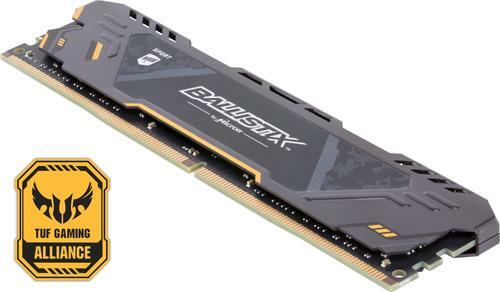 Ballistix Sport AT modules are available in densities up to 16GB and speeds up to 3000 MT/s and are guaranteed compatible with ASUS TUF GAMING motherboards for fast, smooth performance. The Sport AT heatspreaders are designed specifically to visually complement products from other members of the TUF Gaming Alliance, including ASUS, Cooler Master and InWin. Additionally, XMP 2.0 profiles enable an easier install, regardless of skill level.